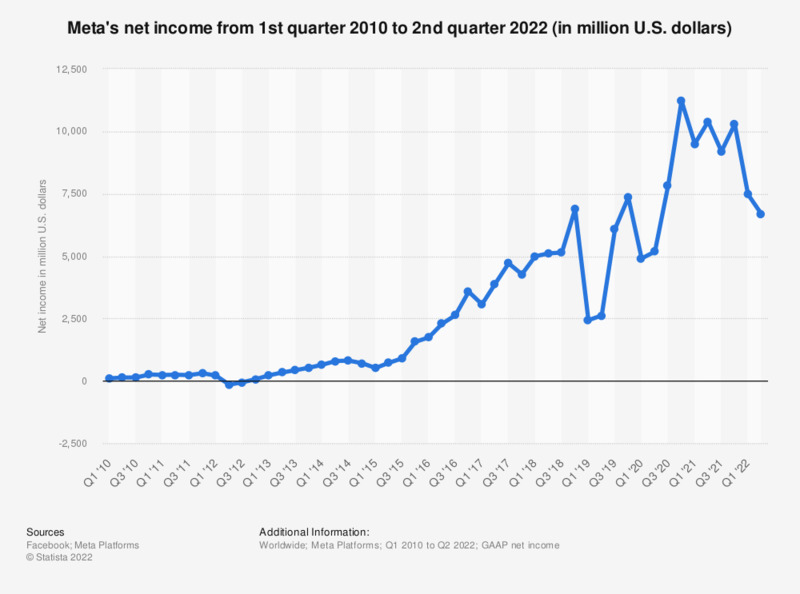 The timeline shows Facebook's quarterly net income as of the fourth quarter of 2018. In the most recent reported period, the social network's net income amounted to 6.88 billion U.S. dollars, an increase from 5.14 billion U.S. dollars in the previous quarter. In the fourth quarter of 2016, Facebook elected to early adopt ASU 2016-09. As such, 2016 quarterly GAAP net income includes the impact of the ASU 2016-09 adoption.